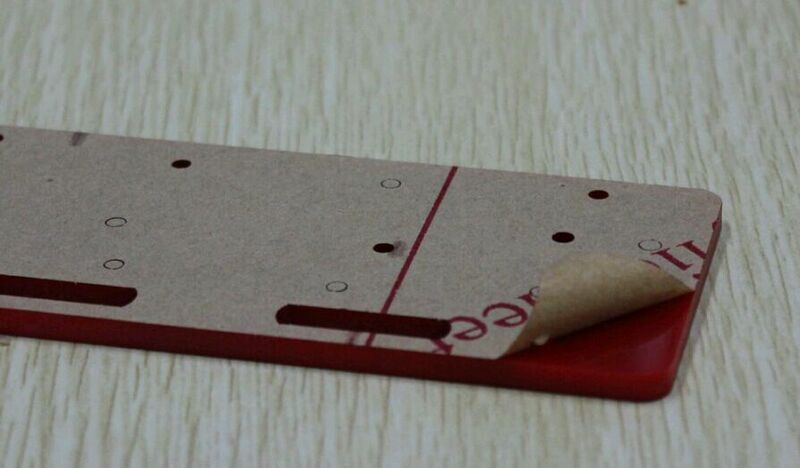 1,reveal the acrylic’s protection paper. 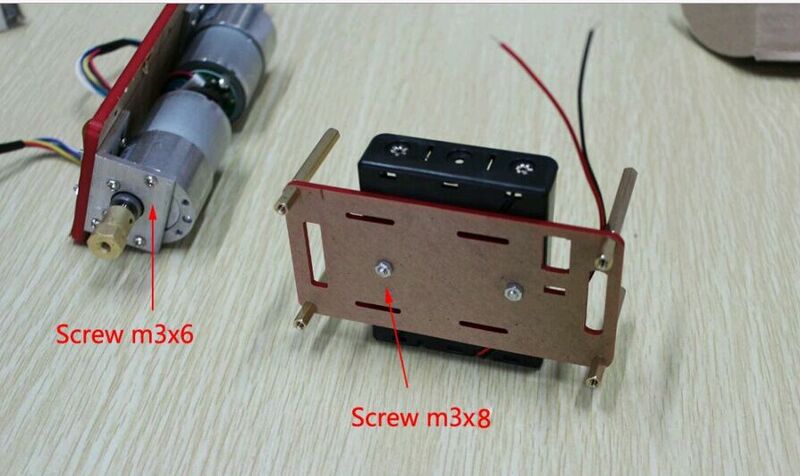 3,assembly motor and battery acrylic board together with screw m3x8. 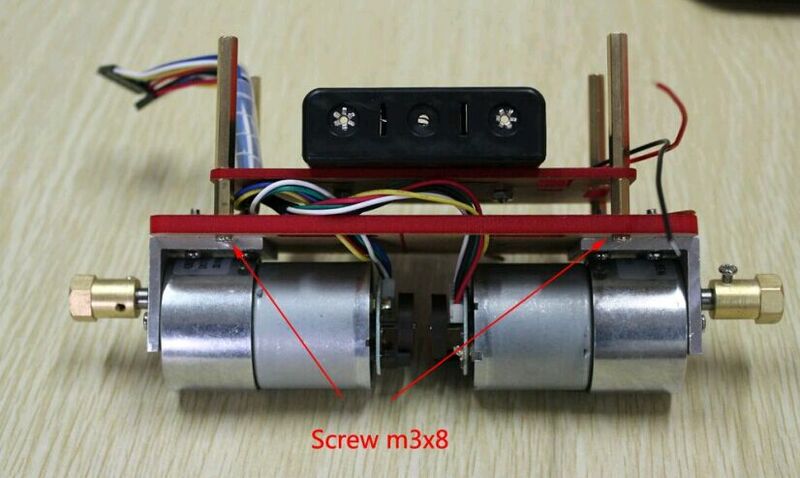 Put the motor’s wires out through holes on the board and tie them up. 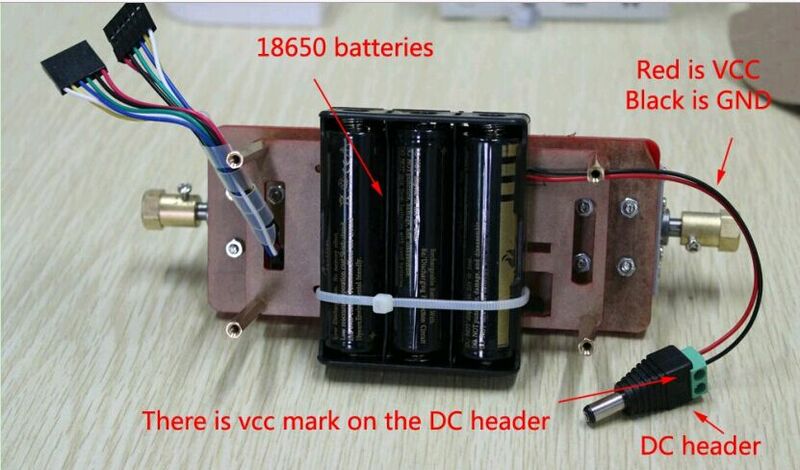 4,connect DC header to holder’s wires. 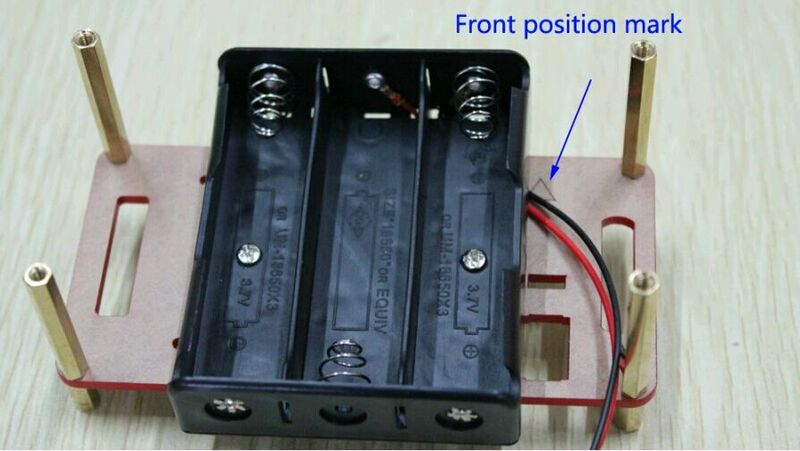 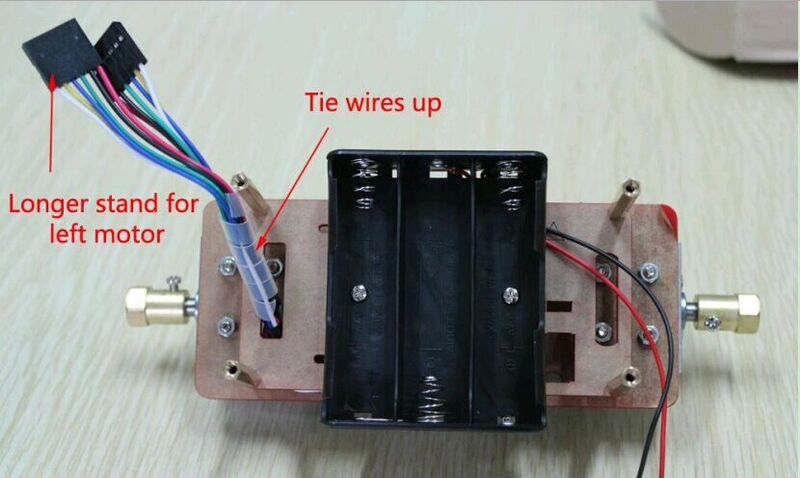 put three 18650 batteries into the holder and fasten with nylon ribbon. 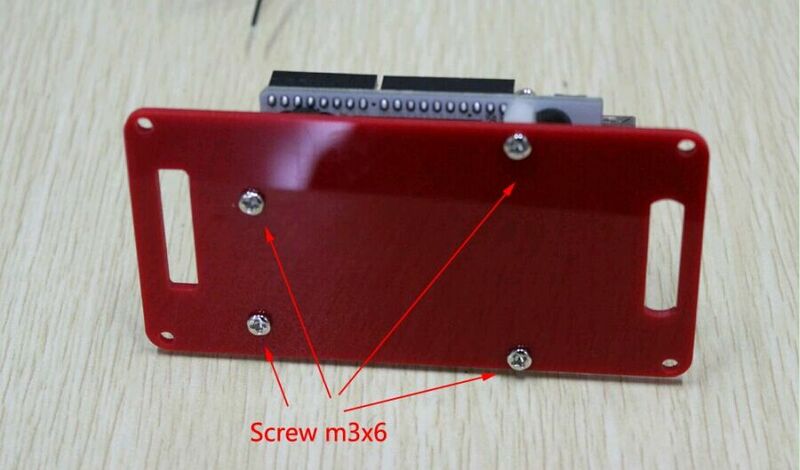 5,assembly the controller acrylic board last with screw m3x8 too. 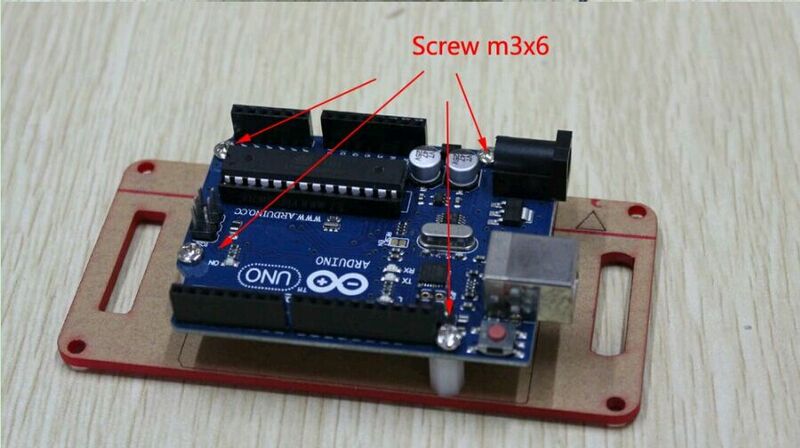 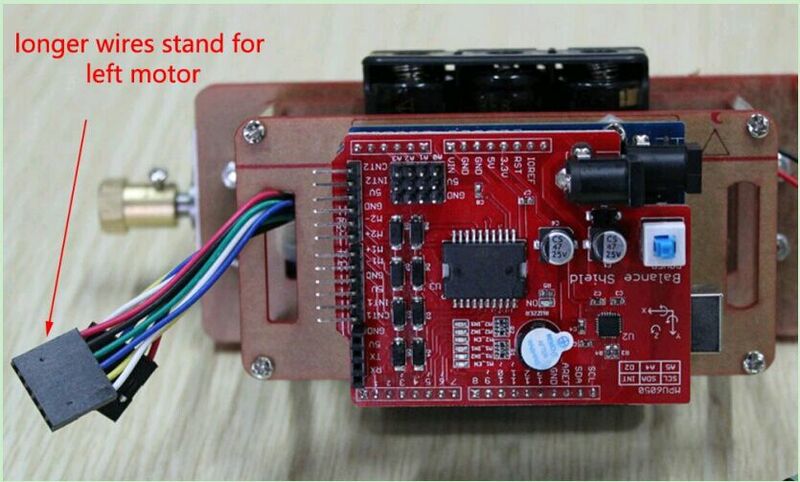 6,connect motor wires and balance shield. 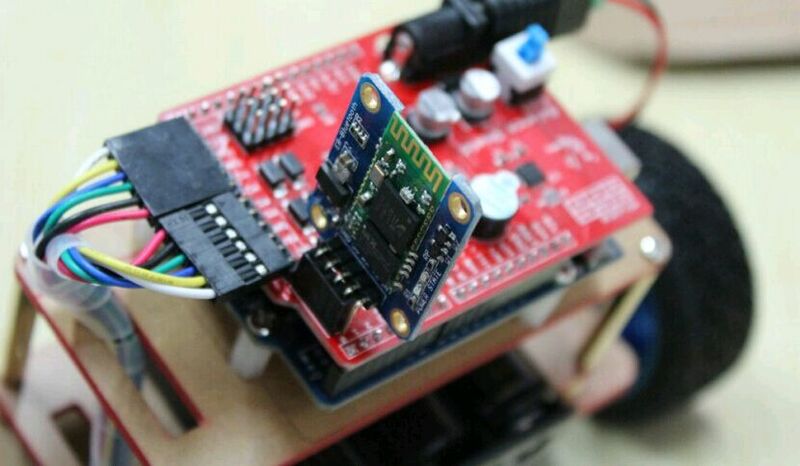 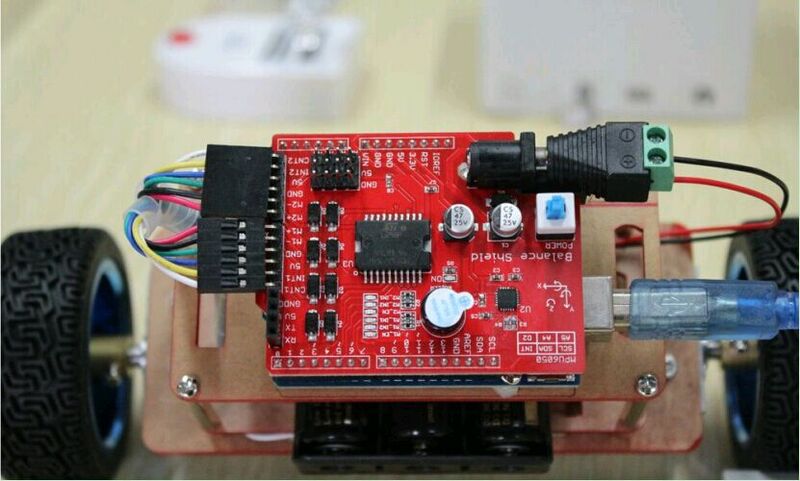 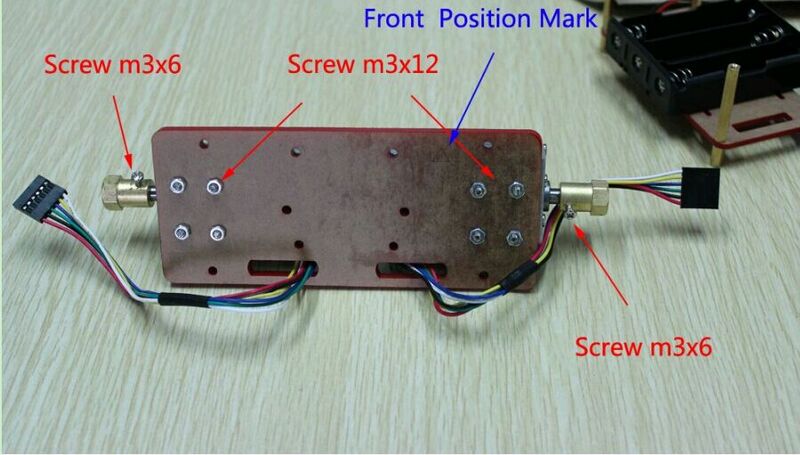 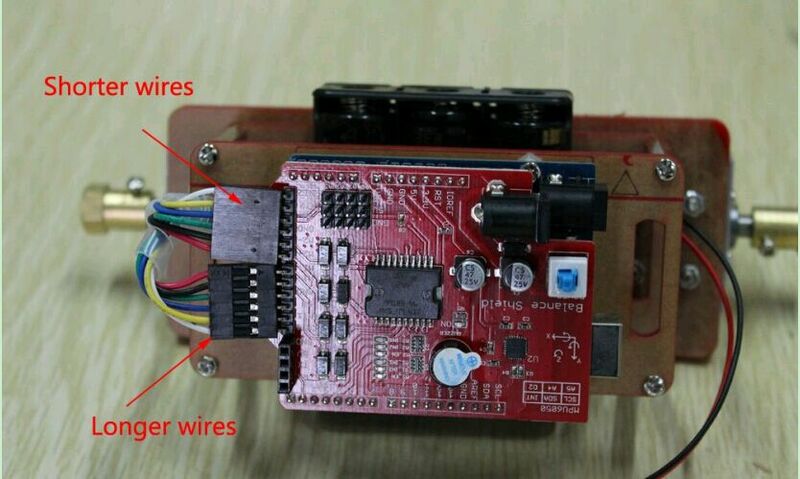 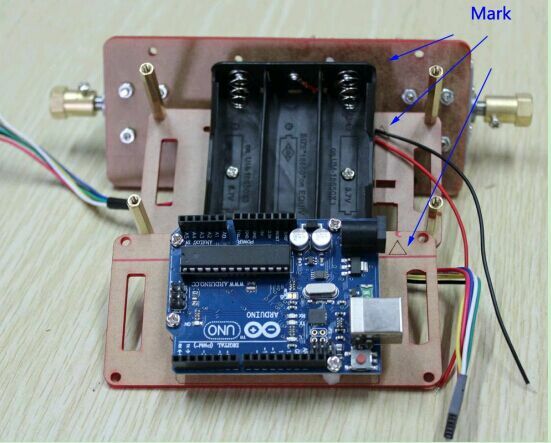 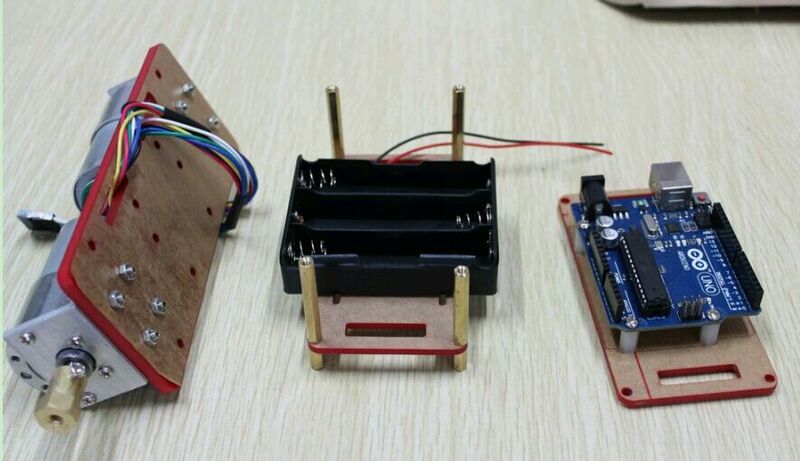 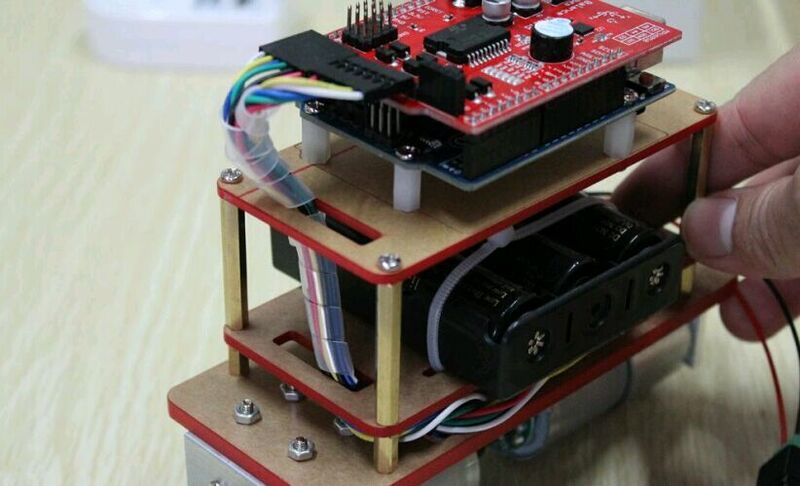 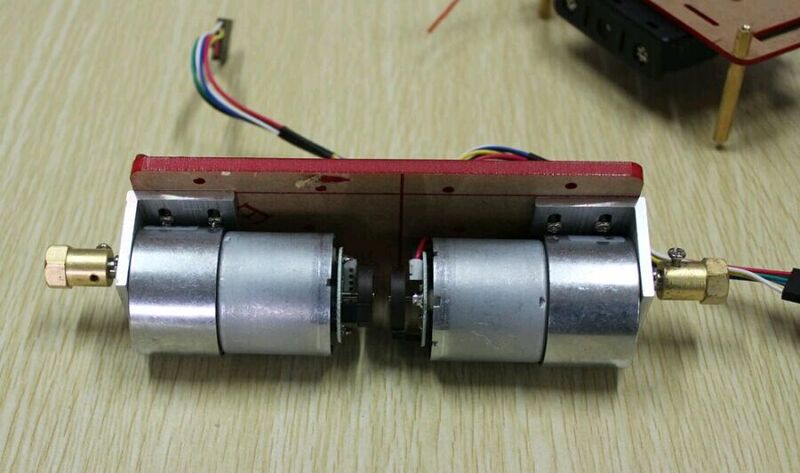 This entry was posted in Application and tagged Balanbot, robot kit, Self-balancing Robot Kit on September 8, 2015 by Ameisina.